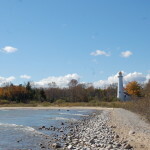 Having grown up in the Grand Rapids area, we’re used to state parks with beautiful beaches that are incredibly popular during the summer months (Holland State Park, Grand Haven State Park, Muskegon State Park). On a recent trip to the Lake Huron shoreline we had a chance to explore Negwegon State Park, which boasts a beautiful beach but not the crowds of its western counterparts. This park is located in Alcona County and Alpena County, a few miles southeast of Ossineke. The drive back to the park is a bit more challenging than others and is a factor in why this park remains uncrowded. 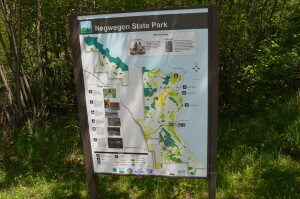 Once you reach Negwegon, the reward for your drive is more than 3,700 acres that include forest, meadows, hiking trails, and the long sand beach mentioned earlier. 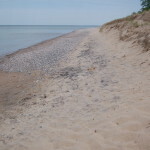 In the 1960s this land was known as Alpena State Park. 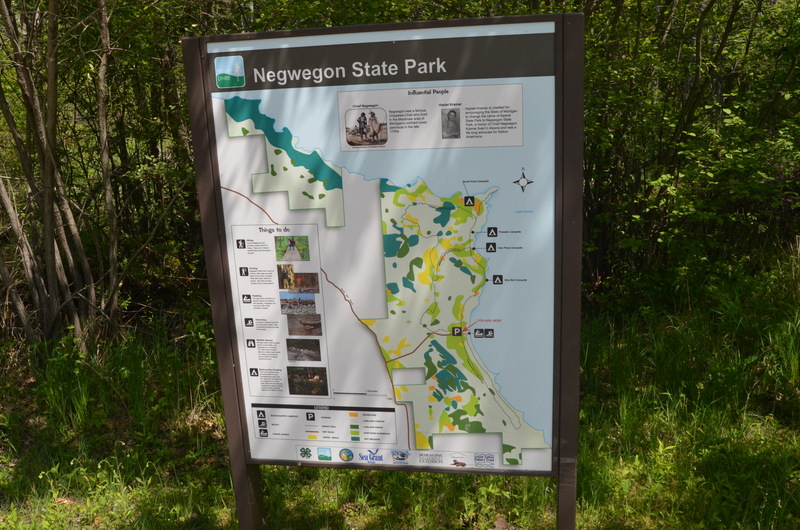 A local citizen named Hazlett Kramer led an effort to rename the park in honor of Negwegon, an Ojibwe chieftain who hunted and camped in the area. Signs and plaques at the park honor her effort. 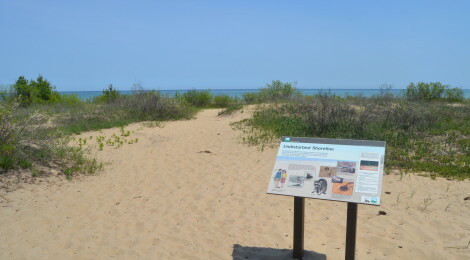 Today, Negwegon State Park is prized by area residents and visitors who want to spend some time at a beach that isn’t over-run with people or filled with umbrellas, coolers, and stereos. When we visited this park in early June, we arrived to find only three other cars in the parking lot. 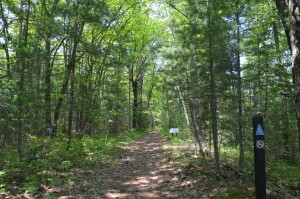 After a quick peek at the beach, we went for a hike on the Algonquin/Chippewa Trail. There’s no highway noise here, just the sound of the wind moving through the trees, and wildlife moving through the forest. After about a mile we doubled back and headed for the beach, this time following the shoreline north and marveling at the scenery. 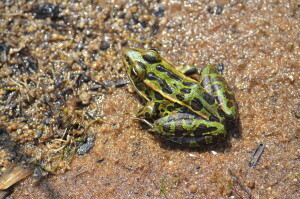 During our visit we saw many different birds, small mammals, and amphibians. 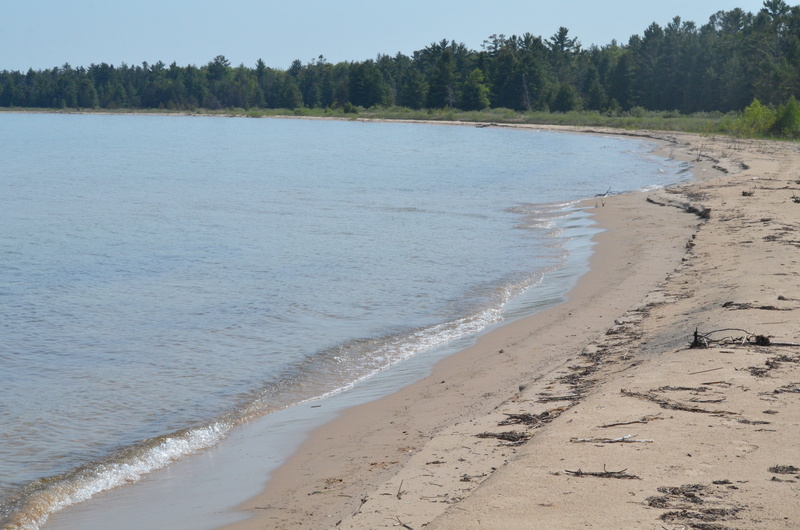 Bald eagles and black bear are a few of Negwegon State Park’s more elusive residents. The park also has four primitive walk-in campsites. If you’re looking for a peaceful camping experience without an RV or an extension cord in site, this park is the place to be. 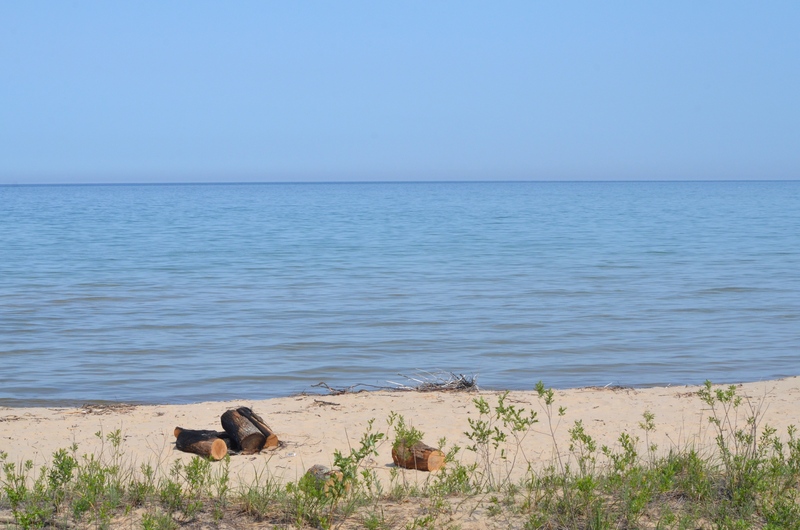 Each campsite (Blue Bell, Twin Pines, Pewabic, South Point) is located adjacent to the trail and is within walking distance of Lake Huron. 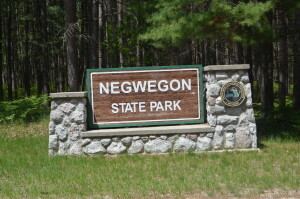 Negwegon State Park is one of three state parks in the Alpena area to be designated as a Dark Sky Preserve (Rockport, Thompson’s Harbor). 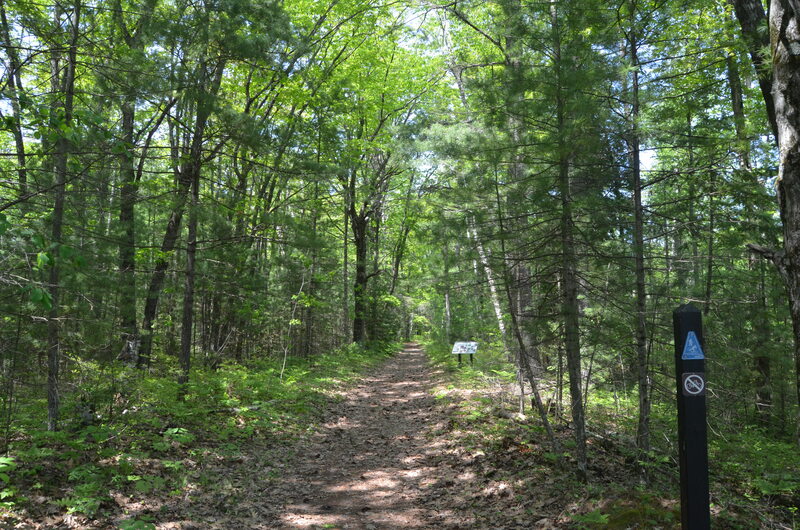 All told there are 11 miles of trail here – the Chippewa Trail (3.1 miles), Algonquin Trail (3.7 miles), and the Potawatomi Trail (3.6 miles; heads south from parking area). 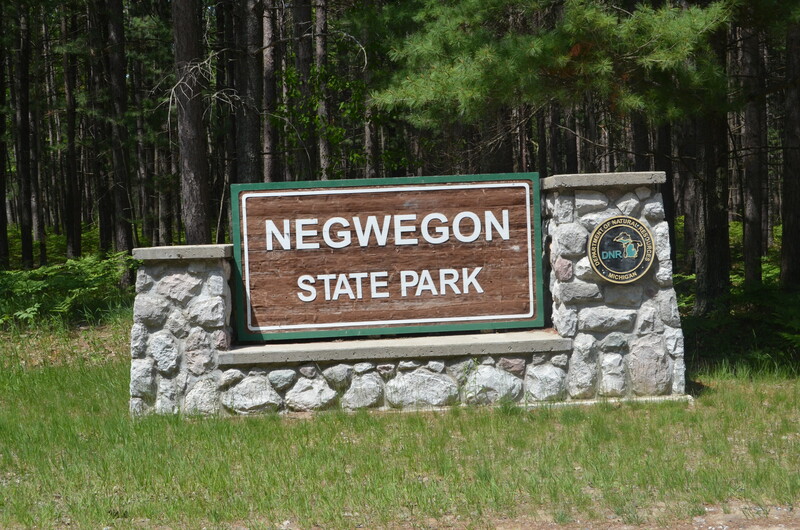 Be on the lookout for a future Photo Gallery post that will show off more of what Negwegon State Park has to offer! 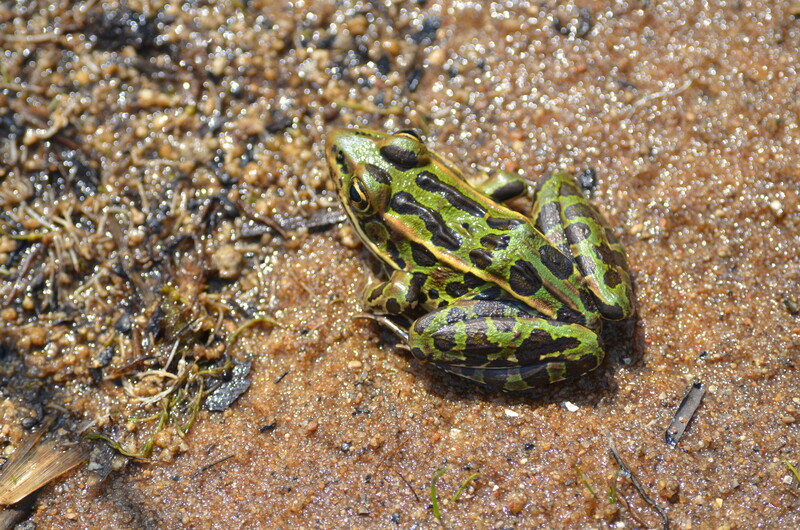 Ossineke is located a few miles to the northwest and is home to Dinosaur Gardens and a Paul Bunyan and Babe the Blue Ox statue. 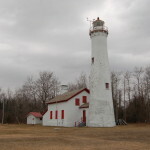 Alpena is home to a lighthouse, Austin Brothers Beer Co., numerous parks and trails, and several museums. 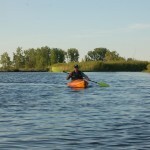 Check out our guide to 10 Things To See and Do in Alpena for more fun ideas!